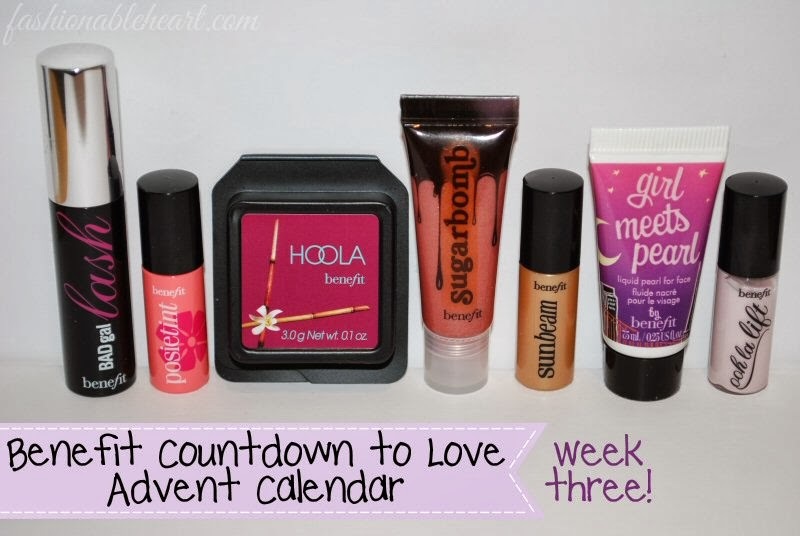 I can't believe I am sharing week three of the my advent calendar already! Christmas is next week...how did that happen?! After this post, every post has been prescheduled until January 6th. My husband gets the next two weeks off, so I plan on enjoying my time with him. We're off to Niagara Falls next week to celebrate Christmas and I'm not sure that I have ever looked so forward to a vacation in my life (part of the reason why is written below). Bring it on! 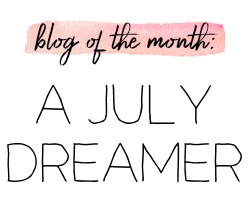 I've mentioned on twitter that I would be sharing weekly mini write-ups on the Benefit Countdown to Love advent calendar from this year. Every Friday, I'll share what are behind the doors that I have opened that week. Here is December 14-20th! I know many of you could not get your hands on this advent calendar, but all of these sample-sized products can be bought from their permanent line in full sizes! I'll set aside the duplicate items of what I already own. Some of them are great to have in travel-size to take on trips, but I think I'll do a giveaway in the new year with a few of the others. Any of the duplicates are staying unopened and I'm swatching the ones I already own. So stay tuned! 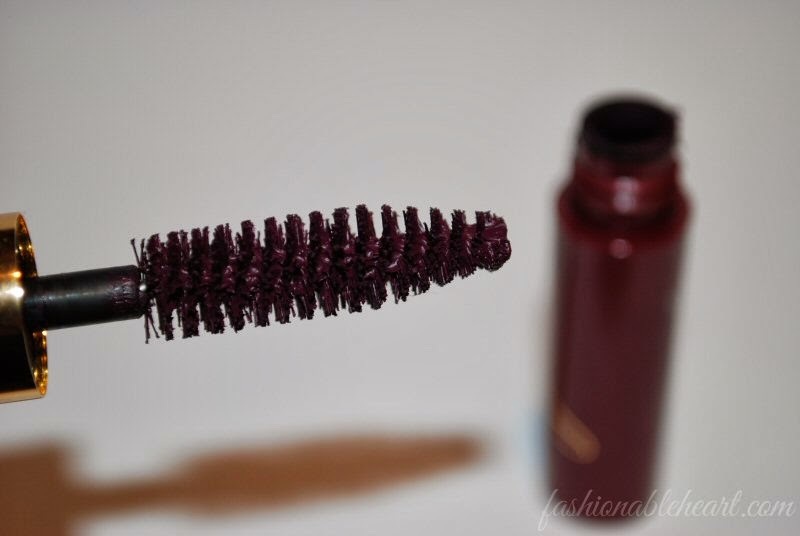 I'm showing the brush of my BADgal Plum mascara, because it is the same and I already had this one open. Posietint, Hoola, Sugarbomb, Sunbeam, Girl Meets Pearl, and Ooh La Lift. I enjoy this mascara. I've owned one full-size each of the black and plum, as well as a few samples. This is definitely a love or hate product. I think it works best on those who already have longer eyelashes, otherwise I'd go with their They're Real mascara. A really pretty cool-toned pink! It's not as runny in formula as the Benetint is. It dries quickly, so if using on cheeks, work one cheek at a time and be ready to blend right away. I love Benefit's tints more for the lips, though. 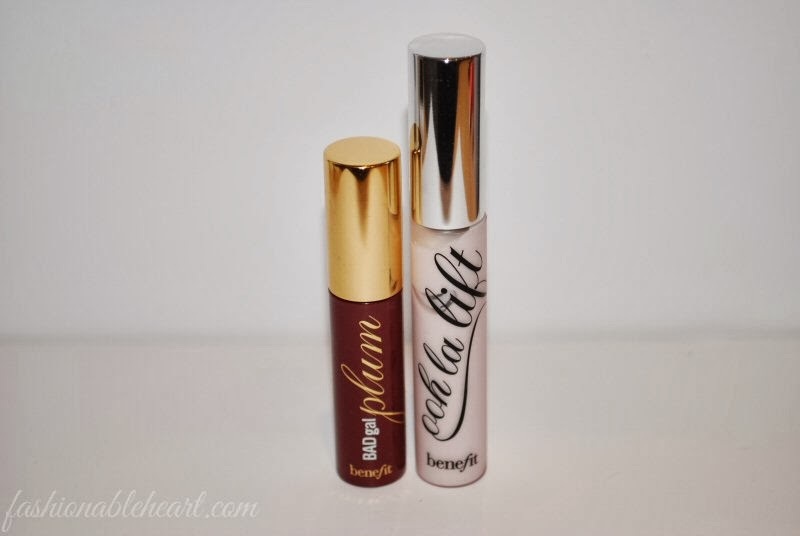 They last a nice long time and are perfect for layering under lipsticks and lipglosses. 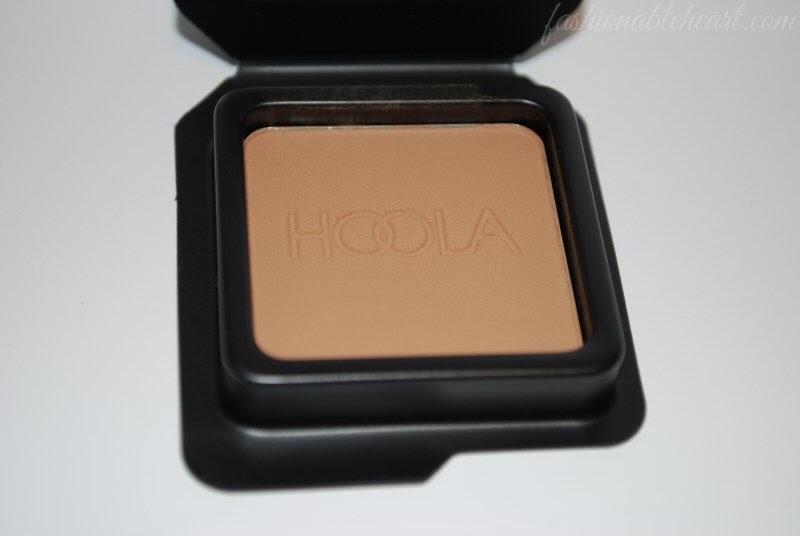 I think this is much better as a contour than a bronzer, especially on fair skintones. It can come across as too muddy. Using this with a light hand, it works well to contour the nose, cheeks, and forehead. It's also a great shade for a crease color on the eyes! It's ok. It's not a color that I tend to gravitate toward. After the color wears off, I'm left with a lot of shimmer on my lips. For you warmer skintoned and tan gals, this is a highlighter for you. It's a beautiful golden sheen when blended in. For pale skin, I think it looks a little too frosty and you should try Highbeam. Similar to That Gal primer, I use it the same way. Mix it in your foundation and you end up glowing. Personally, I prefer That Gal because it is cooler-toned. This is better for the warm skin tones. I got mine for free in a previous Benefit order and I'm glad that I did. I would not buy this as I just find it does nothing for me. I've tried it in different ways and have had no luck with it. I have heard plenty success stories, so it may still work for you. I cannot tell you how happy I am to see this week come to an end. We were in a wreck on Saturday after coming home from a dinner with friends. We were so lucky in that we had traded vans with my mother-in-law, so we had snow tires. After being hit on my side of the van, my husband was able to gain control and pull over to the side of the road. The car that hit us flipped 200 meters down into a ditch. Everyone walked away alive and with minor injuries. I must have said a thousand prayers that night! I've healed physically over the week, but my nerves are still shaken. I suffer from anxiety and panic attacks so my mind can be my worst enemy! But it also made me even more grateful of everything. I just look at my husband and think of what could have been and how blessed I am. There will be no "bah humbug! "s coming from me this holiday season! I hope all of you have a lovely holiday season! See you when I get back. 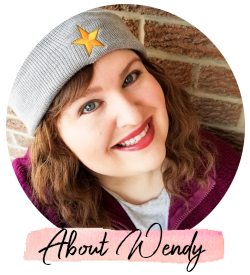 If you want to see photos and keep up with me while I'm on break, you can follow me on Instagram (@wendybanner) and/or Twitter (@fashionblogger) which I will be updating!